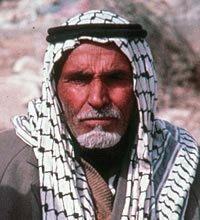 Arab, Jordanian people began to emigrate from Jordan soon after WWII. It was not until the '70's and '80's that their population began to grow rapidly. This was due mostly to the Jordanian Civil War as well as the Arab-Israeli War. Arab Jordanians speak Arabic. However, English is widely understood among the educated and the upper and middle classes. Many are employed in education, business, engineering, as well as science. Many even come to pursue an advanced degrees in medicine or engineering. They retain their distinct people group identity through their religious beliefs, associations, and community organizations. The majority of Arab, Jordanian people are Muslim, but there are also a number of Christians. Many of the Christians adhere to Orthodoxy or Roman Catholicism. Pray that God would give boldness to evangelical Arab, Jordanians to share the message of Christ. Pray for evangelical Christians to minister among and share Christ to Arab, Jordanians. Ask God to give them dreams of the truth found in Jesus Christ.